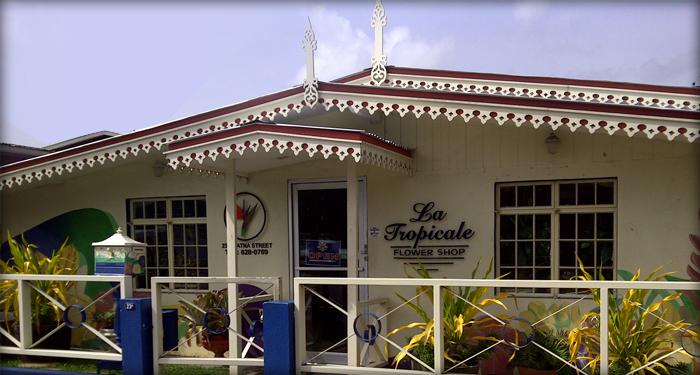 Operating since 1987, La Tropicale Flower Shop specializes in custom designed tropical arrangements, exotic fruit and imaginative styles of fresh and dry flowers for your home, office and any occasion. Also we are a special event planning and decorating company. La Tropicale has also done extensive work throughout the Caribbean, hosting workshops and seminars for a number of associations, and horticultural groups. In addition, we have been contracted on numerous occasions abroad to decorate and coordinate for various decor events. La Tropicale has worked alongside top designers such as Brian Mac Farlane from Trinidad & Tobago, Gemma Lewis AIFD and Bryan Swan AIFD of Washington, USA.